To share the HORIBA philosophy with all employees and pass it down to future generations, we are globally promoting the HORIBA Philosophy Project. We held the HORIBA Philosophy Workshop in Asia in 2017 and at each group company in Europe and the United States in 2018. 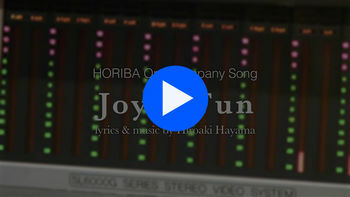 We will continue to offer this workshop as an opportunity for employees to experience HORIBA's corporate culture and style by learning about the HORIBA Group's history, coming to know the background and intention of the company motto "Omoshiro Okashiku" (Joy & Fun), and discussing the HORIBA philosophy. The BlackJack Project began in 1997 with the objective of changing the awareness and activities of employees. In 2017, 827 project themes were registered. In addition to themes related to improving operational efficiency and reducing costs, many themes related to developing human resources and improving organizational strength were registered. The BlackJack Project is in its 21st year, the corporate activity and one of the features of HORIBA's corporate culture in which employees take the initiative to drive organizational reform.